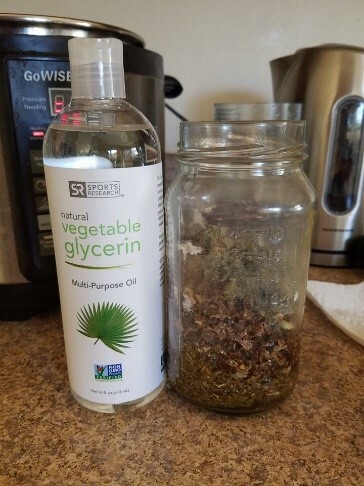 For my herbal preparations project, I chose to make a glycerite instead of a tincture. 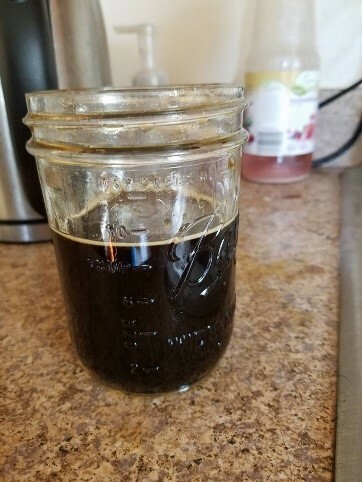 We have an alcohol-free house, so making a standard alcohol-based tincture would not work for us. 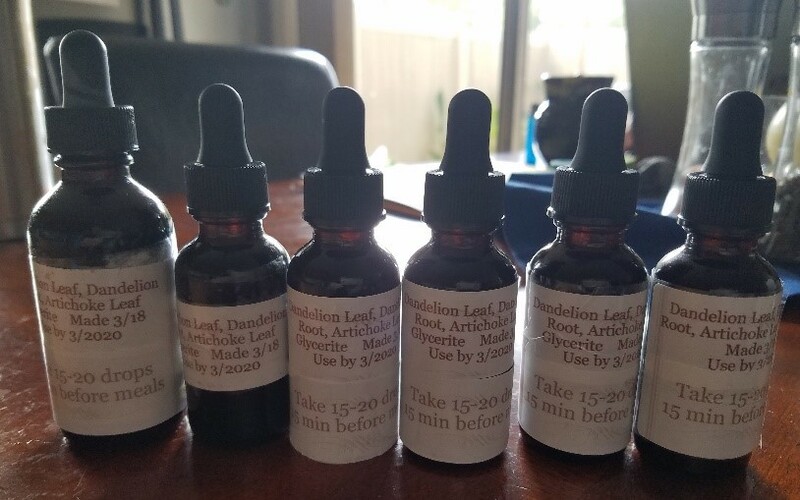 I chose to make a bitter glycerite of dandelion leaf, dandelion root, and artichoke leaf. This will greatly benefit both of us for digestion; but definitely help my husband who does not have a gall bladder. This will help stimulate bile to aid in digestion. This will also help to heal & restore the liver. 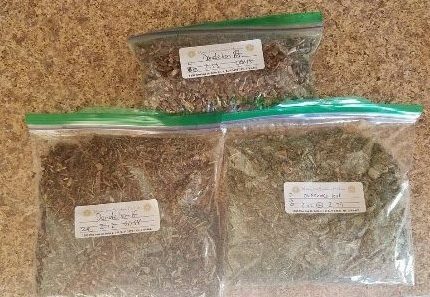 Below is a brief list of these herbs’ properties. Method: Using the folk method, I poured some of each of the herbs in a glass jar until it was about half full. Next, I poured a small amount of distilled water (1/4 cup) and filled the rest with glycerin. I stirred the mixture, topped it off with more glycerin, then stirred again. 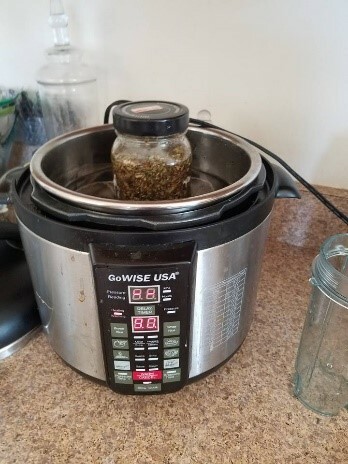 I then placed the jar containing the mixture into a water bath in an instant pot on the slow cook setting and left it there for three days; shaking the jar once or twice a day. After the three days, I strained the glycerite using a nut milk filter bag and a ricer to extract all of the liquid. Lastly, after straining the liquid, I poured the glycerite liquid into amber-colored dropper bottles with a funnel.